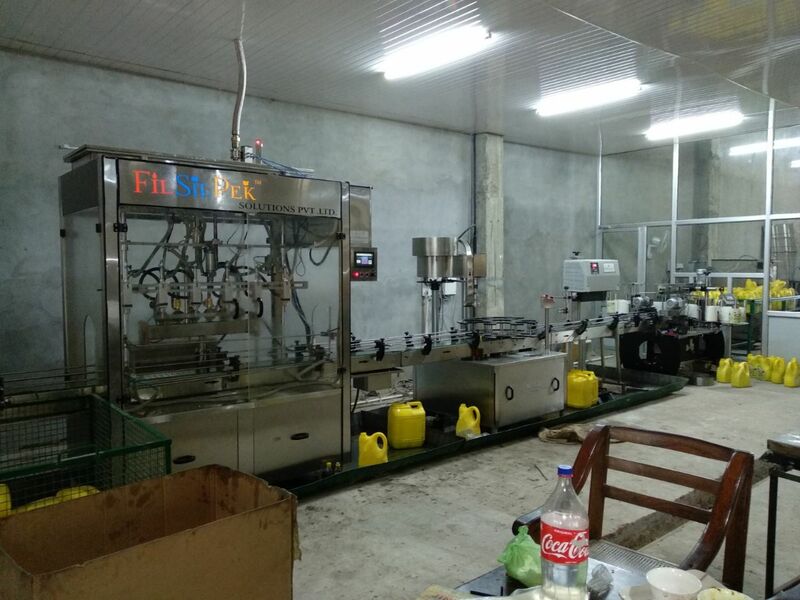 The Electronic PLC Based Filling Machine is compact and highly efficient machine with elegant look. 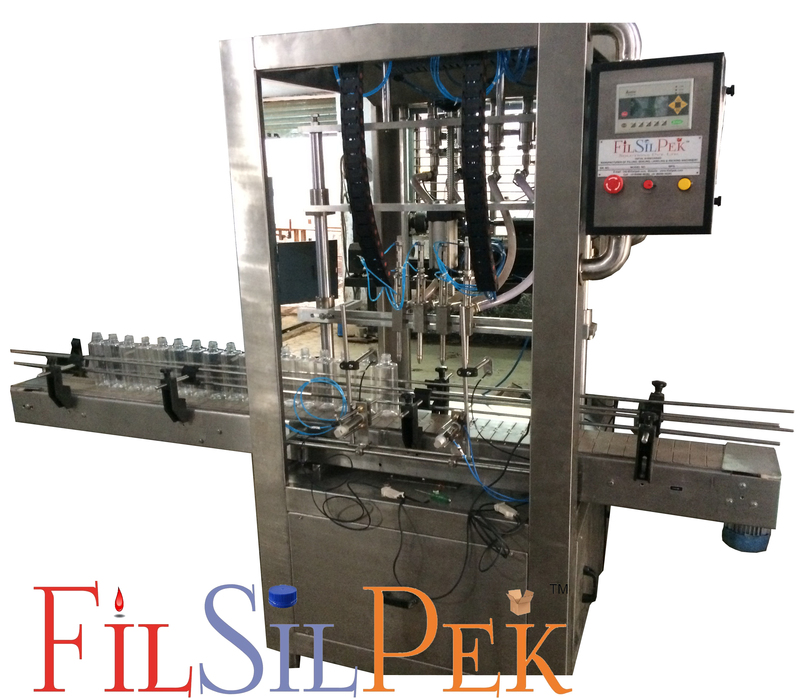 This multi functional multi featured machine meets the GMP requirements of filling for glass, plastic or Aluminum bottles. The flow of liquid is measured and converted in to electronic signals being controlled by micro computer base circuitry. Minimum adjustment required to set different capacities from 500ml to 5 Ltr with varying containers. The entire range can be set on the same machine without any change parts with help of flow meter pulses. 4 Filling Stations, space saving design. Pneumatically controlled nozzles, with ‘No Container No Fill’ arrangement. Reciprocating filling nozzle with self-centering device.